Tickets must be redeemed by bus drivers or sales representatives before entering the bus please have your iVenture Card present. Collection Information Tickets must be redeemed by bus drivers or sales representatives before entering the bus please have your iVenture Card present. Discover the beautiful city of Stockholm with Red Buses in Open Air Double-Decker buses! Hop on and off as much as you like at any of 20 conveniently located stops around the city. This is one of the easiest and most affordable ways to explore Stockholm's must-see attractions and activities at your own pace! The travel pass gives you 24 hours of fun and allowing you to make your own itinerary and getting the most out of your Hop-on Hop-Off experience with Red Buses. The full loop takes about 90 minutes and stops at all the main attractions including The famous Vasa Museum, The Royal Palace, Abba The Museum, City Hall and many many more. You can ride around the city and see the sights explained in your language. You receive earphones first time you use your ticket. 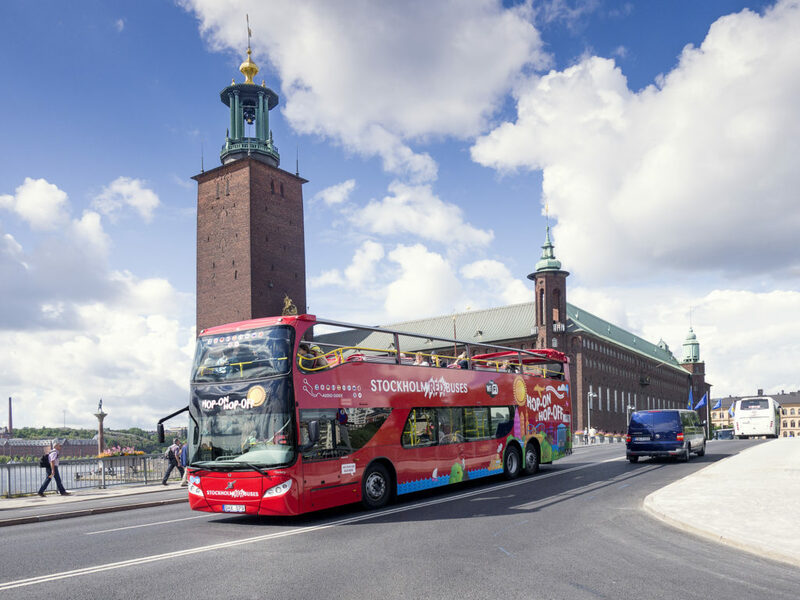 Best of all, you can get off whenever you like to dine, shop or explore, then hop back on to keep going to any of our 21 convenient stops around the city which includes the cruise terminal at Stadsgården and Frihamnen.